"A gripping memoir of a family confronting daughter's medical disability and the challenges of the medical system, drug therapies, and clinical trials, which will inspire readers to contemplate their own experiences with grief, growth, and grace; a thoughtful and emotional true story that takes the reader along on her family’s journey of hope through an incredible era of advancements in treatments for rare genetic diseases. Highly recommended!" The Columbia Review. 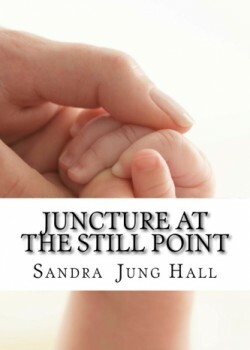 “Juncture at the Still Point” by Sandra Jung Hall is a nonfiction memoir of grief, hope, and the healing powers of spirituality and literature. The book will appeal to readers who have personally experienced grief, medical challenges, the disability of a child, or who have an interest in healing through literature and spirituality. “Juncture at the Still Point” presents a mother’s true account of the devastation of her 3-month old infant daughter’s terminal diagnosis: Type 1 Spinal Muscular Atrophy, the most common fatal disease of infants. The book shares the experiences and emotions of the parents as they learn that their child will likely lose all ability to move, then to swallow, then to breathe, and will be expected to die within about one year of the diagnosis. We follow the family’s desperate attempts to get their child involved in a clinical trial, and we experience all of the unknowns and the emotion roller coaster they experienced during this extremely challenging time. Hall’s gripping memoir tackles the important and difficult issues of a medical disability and the challenges of the medical system, drug therapies, and clinical trials. The book will inspire readers to contemplate their own experiences with grief, growth, and grace. Sandra Jung Hall has written a thoughtful and emotional true story that takes the reader along on her family’s journey of hope through an incredible era of advancements in treatments for rare genetic diseases. Highly recommended!